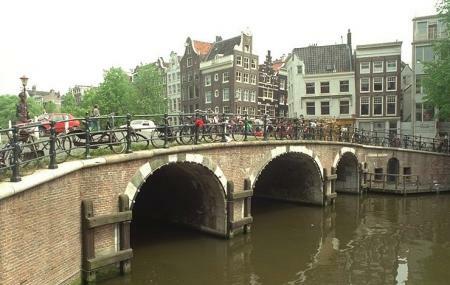 A visit to Amsterdam is incomplete without a visit to Torensluis, the oldest preserved bridge in Amsterdam. Apart from its look, this is just as old as it gets. The rustic arch bridge is very significant for its history too. Built in 1648 on the waters of Singel, it was actually outside the city walls back then, circling its borders protectively. As the city evolved, the walls surpassed the bridge turning it into just a means of transportation. It is also the widest bridge in the city (about 42 meters wide). Today, it is the bustliest during the day thanks to the myriad cafes and restaurants and the famous ‘Bust’ of writer Multatuli that sits in the area. The place also hosts a variety of exhibitions and events from time to time, giving us a thorough peek in its history. If we dare say, the bridge beautifully bridges the gap between old and new. People normally also visit Rijksmuseum while planning their trip to Torensluis.